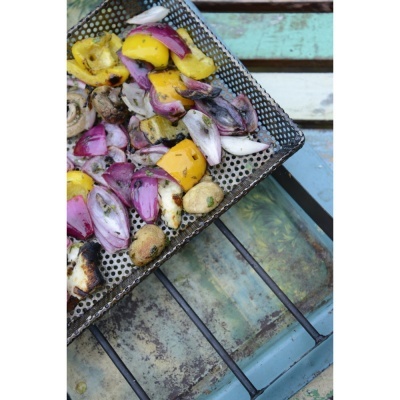 Kadai Firebowls Set of 3 Grilling Trays (XM067-SET) supplied as an accessory to the Kadai Firebowl grill range, but also suitable for cooking on any outdoor BBQ, firepit or open fire. This Kadai Set of 3 perforated grill trays provides an easier task of cooking all types of food on your Kadai firebowl grill, from mushrooms to steak. 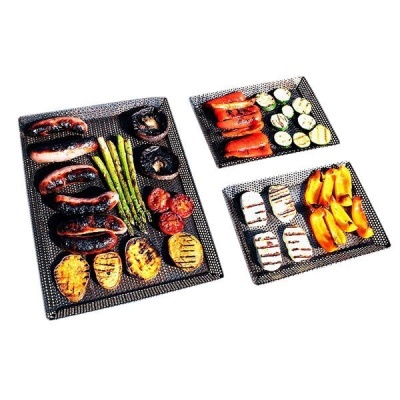 Perforated trays ensure food is evenly cooked throughout and allows the smokey barbecue flavour onto your food. 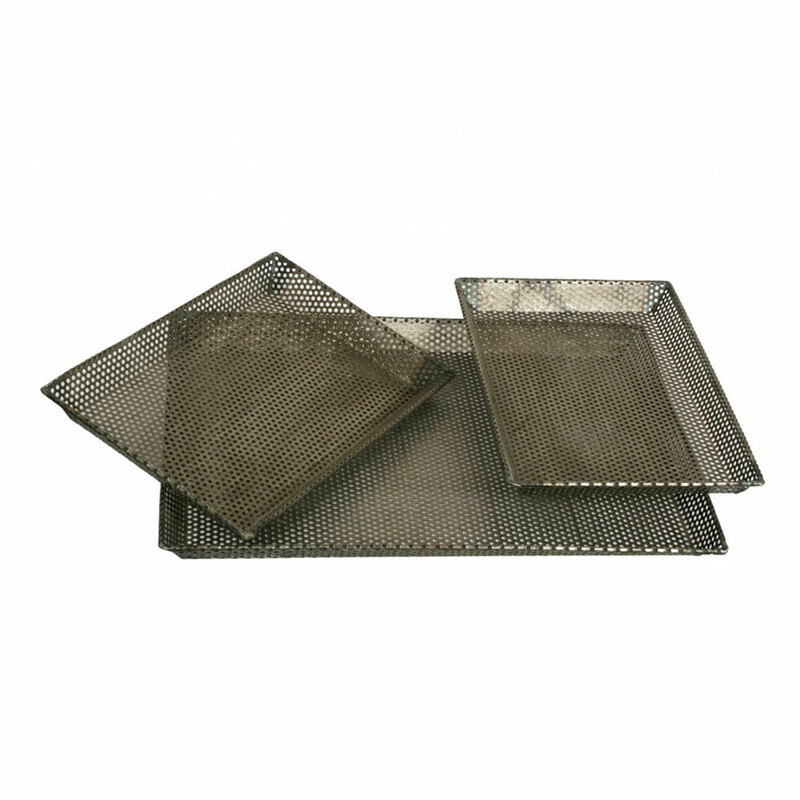 Trays are easy to clean and easy to serve. To compliment the Kadai Firebowls range Kadai accessories have been handmade with great care by craftspeople across Rajasthan. All have been thoroughly tested and supplied with instructions for use. Social Cookware for you to impress your friends with new culinary delights.